Visit Our Long Island Office Today! Call to Schedule Your Body Contouring Consultation Today! Professional Long Island Breast Augmentation Surgeon. We are dedicated to guaranteeing that every patient’s trip to our office in Long Island, is a relaxing, educative and enjoyable one. At Cosmetic Plastic Surgery Long Island, we are centered on you and also enjoy helping you to achieve the look that you desire. In Long Island, our goal at Cosmetic Plastic Surgery is to provide you with the best possible results from plastic surgery, and to do it properly, conveniently, and at a reasonable price. We are grateful to welcome new and re-occurring patients and provide you with the information and facts to make your experience a successful one with Dr. Schwartz. "The highest concern in my practice is the wonderful and personalized care of all my patients, before, during and after surgery to help enhance their self-image and increase their self-esteem." Unhappy with the way your skin looks? Improve the way you look with a facial surgery. Over the years, we've seen a significant increase in men from Long Island who are requesting plastic surgery. Are you unhappy with the way your breast look? Dr. Schwartz will help you. Call and schedule your free breast augmentation appointment today. The objective of a mommy makeover for our patients out of Long Island is to transform the appearance of their body after childbirth. Quickly improve the aesthetics of your body with BodyTite & FaceTite procedures. For Dr. Peter Schwartz, medicine is an art as much as it is a science. Board certified by the American Board of Plastic Surgery, he specializes in cosmetic plastic surgery of the face, breast and body. Our office in Long Insland is advanced, yet welcoming and comfortable. Our surgical team as well as my office staff are dedicated in making sure your visit is enjoyable. Dr. Schwartz specializes in breast augmentation, liposuction, tummy tuck, facelift, rhinoplasty, and other procedures to help patients achieve the refined, natural-looking results they want. We approach plastic surgery with precision and artistic vision to reveal each patient's unique beauty. Schedule your free consultation appointment by calling our office in Long Island today. I had my eyes done with Dr. Schwartz,everyone has told me how much younger I look Dr Schwartz is excellent from the moment I stepped into his office and was greeted by his beautiful staff I knew that this was the right choice of doctor. He takes his time going over everything g with you and doesn’t mind answering every question. Dr Schwartz is the best! I had breast surgery done and love the way it looks! I recommend him to everyone. He is so knowledgeable in his field. His office is great and I love his staff! I would never go anyplace else!! Dr. Schwartz is fantastic. I had .bodytite on my stomach and had a breast augmentation done. Absolutely love the results. The moment you walk in the door you are greeted by an extremely friendly staff that make you feel very comfortable. Dr Schwartz has the best bedside manner. His follow-ups are wonderful. I would recommend him to everyone. Body Contouring, also referred to as Abdominoplasty, is a surgical treatment that will help to tone and flatten and re-shape the abdominal area and waist by removing extra fat and skin and toning muscles. The best candidates we have discovered in Long Island are typically in fantastic physical condition with loose skin that haven't reacted well to physical exercise and dieting. Breast Augmentation is the most frequently performed cosmetic surgery procedure performed in Long Island and throughout the United States. This procedure can give women with tiny or unevenly sized breasts a fuller, firmer, better-proportioned look through the placement of implants in the chest. Women may elect to experience breast augmentation for some medical and aesthetic reasons, such as balance or breast size. This type of procedure may be coupled with others, for instance, a breast lift for more satisfying results. Dr. Peter L. Schwartz offers several types of cosmetic laser skin treatments to improve the texture and clarity of the skin. Laser technology can reduce the appearance of wrinkles, uneven pigmentation, varicose veins, and spider veins. After your laser treatment is complete, your skin can look and feel more youthful. Dr. Schwartz's treatments are non-ablative - in other words, they do not burn skin tissue. If you're not interested in body contouring and desire immediate results, perhaps liposuction is for you. 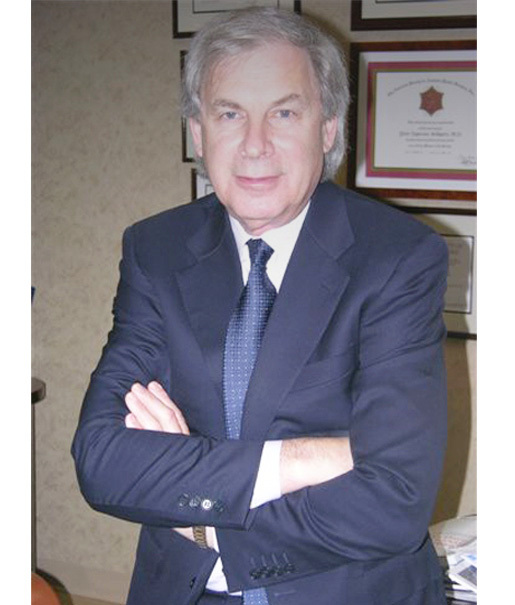 Here at Cosmetic Plastic Surgery of Long Island, Dr. Schwartz will discuss the best treatment method for removing fat. Most patients we work with from Long Island tend to concentrate on their abdominal area, hips, buttocks, thighs, knees, chin, cheeks, neck and upper arms. BodyTite is a great solution for individuals who are looking to reduce fat without the saggy, wrinkly skin. It also helps improve skin laxity after weight loss or due to aging. BodyTite is a minimally invasive procedure that shapes, tightens and lifts without the scalpel or scar. You are left with surgical-like results without the added downtime. FaceTite is a new procedure that is comperable to a surgical facelift, without the scars. FaceTite provides dramatic improvement in skin laxity on the face and neck, which was previously only attainable through a surgical procedure such as a facelift. FaceTite utilizes minimally invasive radio-frequency energy to melt fat and tighten skin. For a FREE Consultation, Call Our Long Island Office Today.